This entry was posted in Square One and tagged 16-35L, 16-35mm, 5D3, 5Diii, Alberta, apartment, architecture, brick, buildings, Calgary, Canada, Canon, City Life, creative, director, estate, exposed, HDR, home, metro, photo, Photography, real, real estate, social media, townhouse, Urban, yyc. Bookmark the permalink. Thank you! Yes more weddings would be good too! 🙂 I am shooting one in a few weeks! Awesome! Looking forward to those photos if you post them. I love your site and all your work! I am just starting out in the photography business. I was reading Zach Arias’ book which stated that sometimes when getting started real estate is a great route to go for experience and some money for equipment etc. What are your views since obviously you have so much experience on this topic. Thanks! Hello Amadeuspicasso, thank you very much regarding my work. 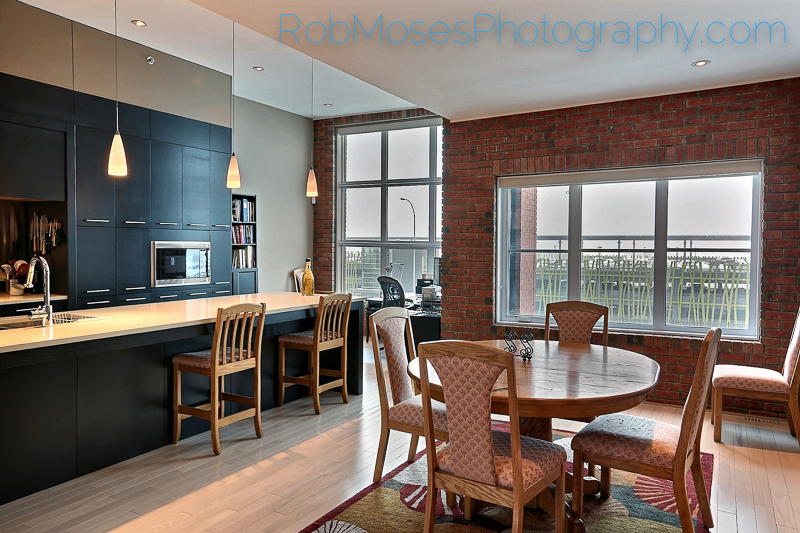 As far as getting started in Real Estate photography, yes I think it would be a good idea. As long as you have the right equipment for the job, it’s not that hard. I am not sure what kind of gear you have, so if I am telling you stuff you already know please forgive me. Make sure you have wide angle zoom (like a Canon 17-40mm) & a good tripod. I’d suggest shooting HDR’s so you see out the windows and fill in all the shadows, in my experience this is a much better approach than using flash. Getting clients when you first start out doing this can be difficult! Most realtors already have photographers they are using, so make sure your sample photos are really good! To get sample photos ask one of your friends with the nice’est house to take pictures of their place (that’s what I did). I also went into some big hotel’s conference rooms to get some shots haha. The hotel and conference rooms are not ideal, but you’ll get some good shots, you just have to do it fast before anyone notices you haha. Thank you so much for all your help and the tips! Never expected to get so much advice from an experienced photographer. I will make sure I take all of that into consideration and will check out the site for ideas and inspiration. Thank you again. No problem, happy to help 😉 Good luck!